Maria Jones was excited to move into her new Edgewater Park home. One of the selling points was an in-ground swimming pool that would help Jones’ daughter, who has special needs, with water therapy. Before the sale was final, Jones, 70, wanted to know more about the condition of the pool. She came across a receipt from the previous homeowner for Steve’s Pools in Hamilton. If the homeowner used the company, Jones figured, she could, too. But that was before she searched online and saw a Bamboozled article about the same company and its owner, Stephen Porada. Porada, never responded to our multiple requests for comment about that job. In that case, documents showed he was hired to replace a pool cover for a Bound Brook homeowner. The homeowner said Porada took $1,000 from her but never delivered the product, but he did deliver lots of excuses. He later entered into a payment plan to pay back the homeowner, but payments stopped quickly and the homeowner never recovered the funds. Porada hasn’t responded to our requests to chat about Jones’ new allegations. We also want to be clear that Porada’s company — Steve’s Pools — is in no way related to similarly named businesses: Steve’s Pool & Spa Service in Hazlet, and Steve’s Pool Service in National Park. Jones said she first contacted Porada in March, and on March 10, he came to inspect the pool. For a cost of $225, Porada did an inspection and agreed to come back to open the pool closer to summertime, Jones said. 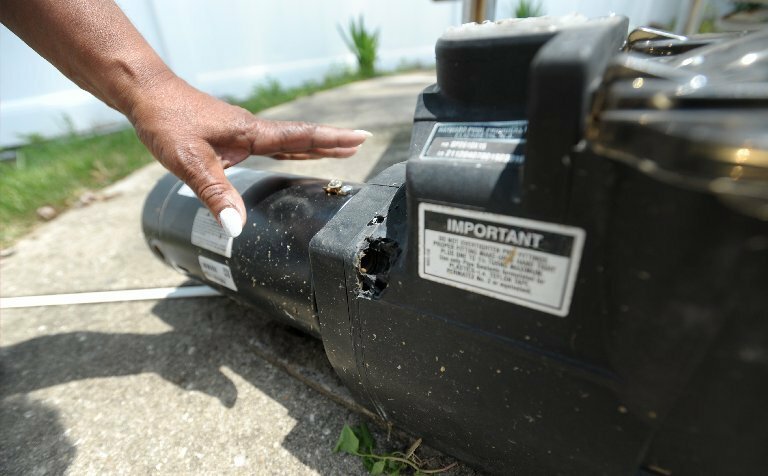 “He noted on his invoice that it was a “quality inspection” but that a new motor and pump seal needed to be installed before continuous operation,” Jones said. The invoice also recommended replacing a missing drain cover. Porada gave an estimate of $478, documents show. Jones negotiated that estimate into the purchase of the home, she said, and she closed on April 20. Once the weather got warmer, Jones contacted Porada about the motor replacement. On May 5, she said, Porada reported the new pump was in, and he installed it a few days later. It was still too early to open the pool, and Porada said he’d contact her later in the month, Jones said. She paid the $478 in a check written to Andrew Porada. Jones said when it was late May and she hadn’t heard from Porada, she called again. But Porada never called, she said. So she left a message. And another. And another. Jones tried another time, again having a friend call from a different number. She said Porada answered and assured her friend that he would call that same day to arrange to come open the pool and cap the drain. Jones had her friend call again, and Porada agreed to come do the work on June 7. The next day, Jones said, she received a text from Porada saying his car was in the shop so he might have to come the following day. In the same text, Porada said he had to go to the doctor with his girlfriend and his son so he couldn’t come. Jones wasn’t sure what Porada planned to do, so she asked him to clarify. she said. Porada didn’t respond, she said, and she never heard from him again. She’d had enough. Jones called another pool company to do the work. The cost to open the pool was $285.69. The new company said the pump — the same pump Porada just replaced — was busted. On June 27, Jones said, she sent an email to Porada about the problem, but he never responded. So instead, the new pool company returned. Now out even more money, Jones contacted Bamboozled. 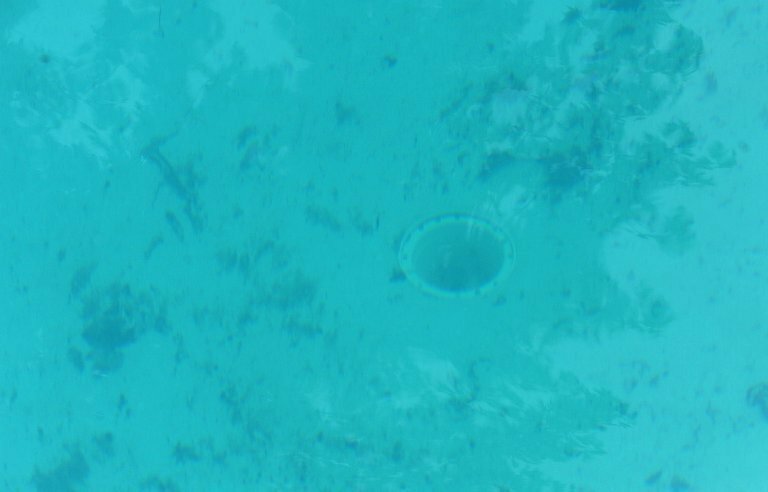 We took another look at Porada and Steve’s Pools. Back when we did our first story about him a year ago, we learned Porada was operating without the required Home Improvement Contractors (HIC) registration. “Home improvement contractors include those who work on residential driveways, sidewalks, swimming pools, terraces, patios, additions, landscaping, fences, porches, windows, doors, cabinets, kitchens, bathrooms, garages, finished basements, basement waterproofing, insulation installation, roofing and siding, wall-to-wall carpeting or attached or inlaid floor coverings, and more,” the regulations say. He still doesn’t have an HIC registration, state records show. Porada’s contracts, which last year were handwritten on ordinary lined white paper and missing lots of items required by law, haven’t improved very much. The invoice given to Jones was on pre-printed paper stock, but it was missing items required by state law, including a 10-point boldfaced message about how to contact Consumer Affairs and a start and end date for the job. While contracts are not required for jobs costing less than $500, if a contractor provides one, it must contain the same information as any other contract. And the invoice was essentially a contract. They must also have the contractor’s HIC registration number — but we know Porada doesn’t have one — and information about the company’s liability insurance policy with the phone number of the carrier. We don’t know if Porada has insurance because it’s not noted in the paperwork. Jones filed a complaint with Consumer Affairs, as did the homeowner who made the first complaint about Porada to Bamboozled. Those would be the only two complaints the state has received about this contractor. If the Consumer Affairs route doesn’t work, small claims court could be next, Jones said. We’ll let you know what happens.